Katy was very accommodating and allowed us to check in early which meant we could relax for the day. Excellent communication beforehand. We had everything we needed. Just loved the view! This property is a gem. It’s location is ideal, overlooking a beautiful beach which is not over commercialized. 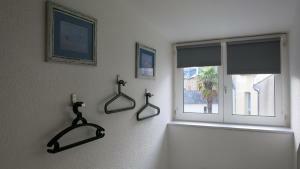 The apartment was well kitted out with everything we needed for our holiday. Parking close to the apartment was never a problem and is free. There is a fabulous boulangerie 2 minutes away. Katy was so accommodating and welcoming in our communications by email and with our welcome gifts that we felt we were going to stay in a friend’s apartment and not in the apartment of someone we had never met. The property had a fabulous view. The check-in was very easy. Fabulous view worth the climb to the top floor. Travel light so you don't have to bring all the suitcase up the long climb. Loved the outlook over the beach. Beautiful breezes to cool the apartment on the hottest of days. Quirky design that had a lovely ambience. 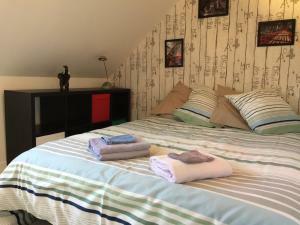 We thoroughly enjoyed our stay in Dinard, and Katy's accommodation. Appartement fonctionnel, propre et très bien situé. Magnifique vue sur la mer. La proximité du centre ville. De belles et agréables promenades. Die Lage war super. Man hatte einen tollen Blick auf den Strand und kam fußläufig in die Stadt .Katy hat sich immer mit uns abgesprochen und war direkt zur Schlüsselübergabe da. Auch hat sie uns noch Tipps für den Aufenthalt gegeben. Appartement très cosy oú on se sent très bien. L'emplacement est ideale, et l'hôte fort sympathique. 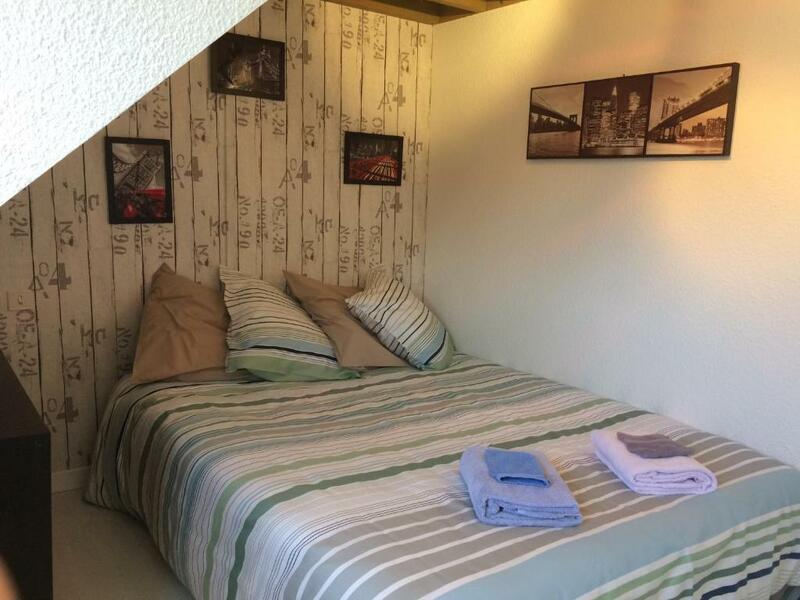 Lock in a great price for Katy's Home Dinard – rated 9 by recent guests! 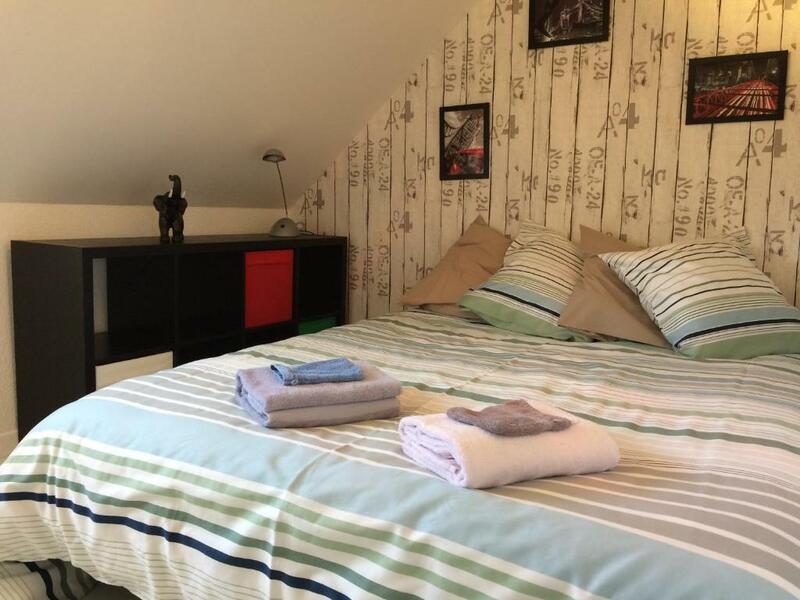 Located in Dinard, just an 8-minute walk from Port-Breton Park, Katy's Home Dinard provides accommodations with free WiFi. This property is half a mile from Marina. 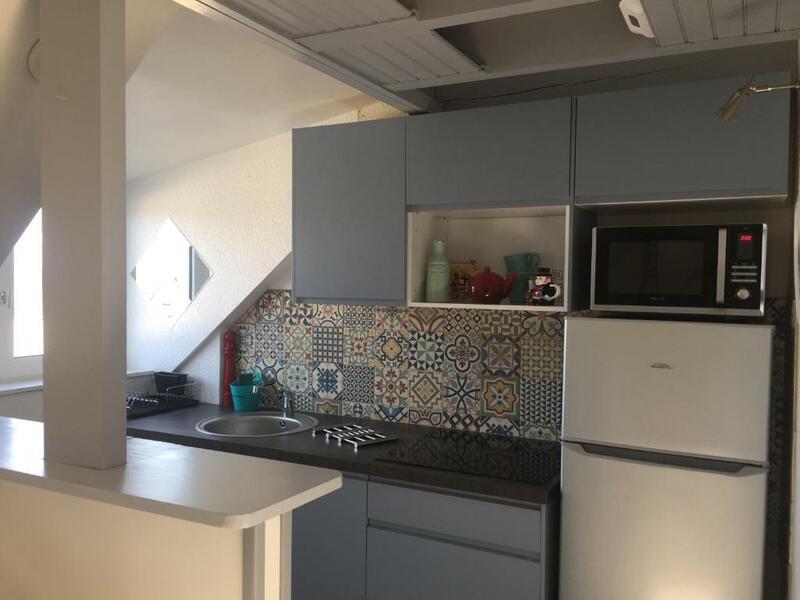 This apartment comes with 2 bedrooms, a kitchen, a flat-screen TV, a seating area and a bathroom with a shower. Ferry is a 10-minute walk from the apartment. The nearest airport is Dinard Bretagne Airport, 3.5 miles from Katy's Home Dinard. This property is also rated for the best value in Dinard! Guests are getting more for their money when compared to other properties in this city. 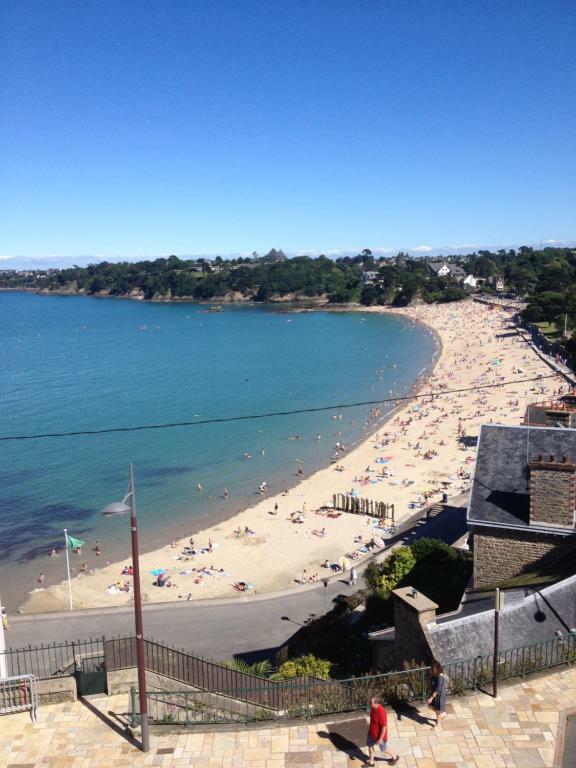 뀐 Located in the top-rated area in Dinard, this property has an excellent location score of 9.4! 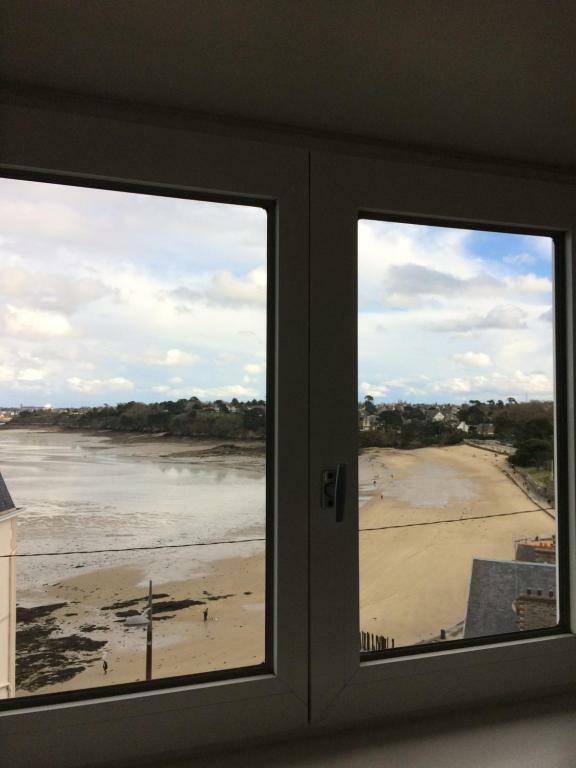 When would you like to stay at Katy's Home Dinard? This apartment has a oven, stovetop and seating area. 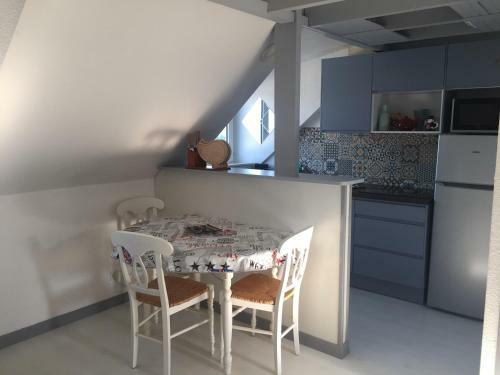 House Rules Katy's Home Dinard takes special requests – add in the next step! Please inform Katy's Home Dinard of your expected arrival time in advance. You can use the Special Requests box when booking, or contact the property directly using the contact details in your confirmation. The apartment is located on the third floor so I would suggest travelling light. The view was worth it though. Sofa not too comfortable but a minor point. We managed the stairs well but they may be an issue for some.